Ever wonder what controls, really controls your mind, heart, and body? What subconsciously drives your reactions every minute of your day? Understand it or not, the answer always depends on your core beliefs in your belief system which pertain to yourself directly. I am sure you think what you believe about yourself is a characteristic you were born with, if you do then you would wrong. What you believe about yourself formed over time since you were born and embedded in your subconscious mind. Brain and mind researchers studying personal beliefs found out that 84-92% of all beliefs you have accumulated growing up directly influence how you react today in your life. If it was not bad enough, 80-90% of your subconscious beliefs are negative. Researchers have discovered that your beliefs affect your moods, are the basis for your thoughts, and unknowingly you allow your negative beliefs to govern how you will feel and react as well as feed the development of disappointment of yourself and others. Wow! Now that is self-discovery. You indeed are the product of your core beliefs. Core beliefs are self-messages that your mind forms about yourself in your subconscious mind as a result of experiencing situations and basis enlarge on your mind code. The subconscious mind forms a core belief and an associated emotion each time you encounter something. These self-messages silently form and embed themselves in your subconscious mind without your conscious awareness or knowledge. Once integrated, these beliefs become the foundation of your identity, (which is the core of who you are) and how your mind operates. Positive experiences you have harvest positive core beliefs. Negative or traumatic situations yield harsh, harmful and self- limiting beliefs about you. How do core beliefs develop? Core beliefs form in conjunction with the recording of each situation your experience in another compartment in your brain. Positive experiences you have harvest positive core beliefs. Abusive, harmful or traumatic situations yield harsh, self-judging, self-defeating, self- limiting, negative and self-sabotaging thinking about you. The most crucial factor in the formation of core beliefs, whether positive or negative, is the emotional intensity of the experience or emotional attachment to the person or situation. The bigger the emotional charge or attachment to the belief, the more profound, more influential, and more powerful the belief becomes. Also, the more significant the influence the belief has on your behaviors, feelings, thoughts, and reactions at the moment. Yesterday’s formed core beliefs rule your reactions today. Meaning that core beliefs produced years ago directly influence and govern the way your mind, heart, and body react right in now in today’s situations. Positive experiences you have harvest positive core beliefs. Negative or traumatic situations yield harsh, negative and self-limiting beliefs about yourself. 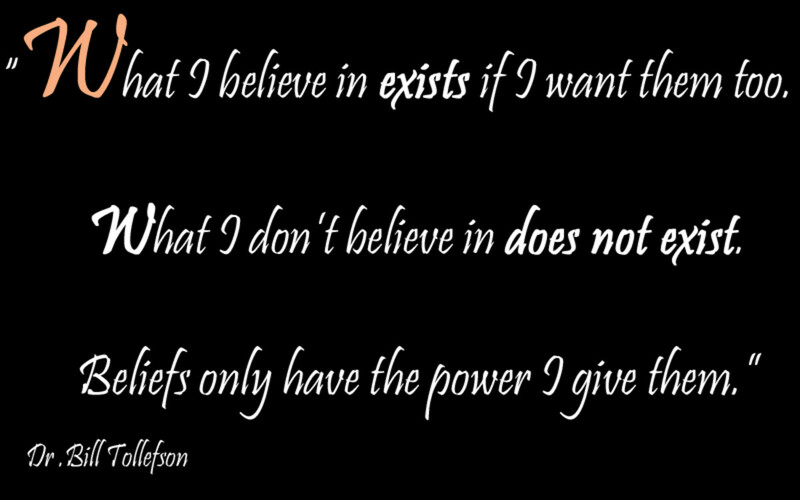 What Gives Core Beliefs Power? When going through your daily life, these embedded beliefs unconsciously are triggered by everyday situations and rise from deep inside your subconscious mind, surface into your unconscious mind and influences your behaviors, emotions, reactions, and thoughts. Embedded core beliefs can motivate you to success or become barriers to our growth. These core beliefs reflect not only what you believe about you but also your body, looks, intellect, performance, potential, and relationships. You probably do not realize the enormous effect old core beliefs have on you and how they become root themselves into your emotional mind, subconscious or the significant impact they have on you. I want to give you a representative example of core beliefs and where your core beliefs are formed and located. Your brain is recording your life constantly. The brain records what you see, what you experience, your physical response, your emotional response and what you think of every life situation. A lot of situations are minor and discarded. What makes a memory stick, become important and saved in your subconscious mind is the emotional significance of the situation. Imagine that memory formation is the earth. The earth records all of the aforementioned data by way of different compartments in the brain and is stored in the core of the earth or subfiles. The three different subfiles are sights, sounds, and general emotions. The subfiles make up the memory of the situation that is being recorded. While certain compartments are recording the situation, in another compartment of the brain it is forming a belief that is specific to the memory which you can imagine as the moon for this example. Depending on the situation and the emotional impact of the situation the belief could be positive or negative. Associated with that belief an emotion is registered and connected to that specific belief. Now this emotion registered and connected to that specific belief is separate from the general emotion in the memory. As mentioned a core belief is a belief you form about you to the exact event, how you handled or did not handle the situation and the associated emotion. Let continue. So far imagine the earth (memory) with the moon (core belief and associated emotion) sitting behind the earth. While you might be able to at some point, either immediately or later, process the memory and integrate the memory into your long-term memory bank (file cabinet). Therefore the memory or earth is integrated and moved to another compartment in the brain, but what you are left with is the moon or core belief from the situation which is not processed or changed by processing the memory. The core belief remains independent, stored in the subconscious for future reference and becomes a huge influence on how you will react to life situations to come. Over time the core belief embeds itself into your subconscious or belief system. Consequently, you are left with the belief that you formed about yourself, good or bad. A sample would be that you experience a situation where you did not perform well enough to your standard or someone else’s standard. For this sample, the core belief that was formed was “I am not good enough” with an emotion connected to it of fear of performing that task again. By the way “I am not good enough” is the number one core belief that most people carry about themselves toward certain events. Since the memory had been processed and stored, you are left with a belief that “you are not good enough” and the associated emotion of fear. Later on in your life, you experience another event, and the situation triggers that core belief. That specific core belief is triggered, comes up out of your subconscious and surfaces into your conscious mind. Your immediate thought would be that you are not good enough and you feel fearful. By the way “I am not good enough” is the number one core belief that most people carry about themselves toward certain events. Since the memory had been processed and stored, you are left with a belief that “you are not good enough” and the associated emotion of fear. Later on in your life, you experience another event, and the situation triggers a specific core belief. That particular core belief is triggered, comes up out of your subconscious (which seems out of nowhere), surfaces into your conscious mind, and you react. Your immediate thought is "you are not good enough," and you feel fearful. I hope this example has helped you to understand better how a core belief is formed and the strong influence it would have on you. Result of Positive Formed Core Beliefs. Whether you know it or not, you are affected deeply by your core beliefs every day of your life. Once your new core beliefs become rooted in our subconscious whether they are positive, encouraging or significant, your core beliefs can motivate you to reach your maximum potential. This process of positiveness occurs by the core beliefs quietly conveying positive self-messages to you, and these self-messages govern you to express feelings of confidence, fulfillment, wholeness, skillfulness, and completeness that drive us to success. On the other hand, negative core beliefs produced from negative or traumatic situations can block you from what you truly want to accomplish. If your core beliefs are formed as the result of negative, defeating or traumatic experiences, then these accepted self-messages can cause you to belittle yourself, minimize yourself, doubt yourself, judge yourself or beat yourself up as well as fear and sabotage yourself. Negative thoughts as a result of core beliefs cause big disappointments toward yourself and stop you from achieving any personal goals, success, happiness or fulfillment. Negative old core beliefs can make you feel lonely, stupid, not good enough, or undeserving. Negative core beliefs can then make you react with anger, depression, rage, hostility, and resentment against yourself or others. Old negative core beliefs can affect every aspect of your life without you even knowing they exist. Is there any hope of changing core belief? Do you have to be a slave to core beliefs embedded in your subconscious mind forever? Absolutely no, you don’t! There are ways to change the content of your core beliefs or self-messages you carry within your subconscious mind. Wouldn't it be nice to be able to change harmful, harmful, and unwanted beliefs? To change beliefs which don't serve you. Understand your mind code and core beliefs, in fact, prevent you from achieving happiness and success. 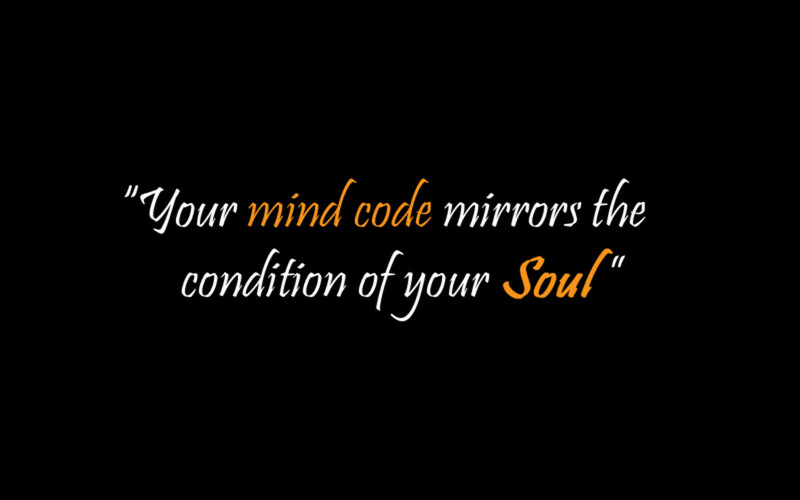 Core beliefs are the window to your mind code. Your mind code and core beliefs are hidden from your conscious mind. Unknown to you both reside right under the surface of your subconscious mind. 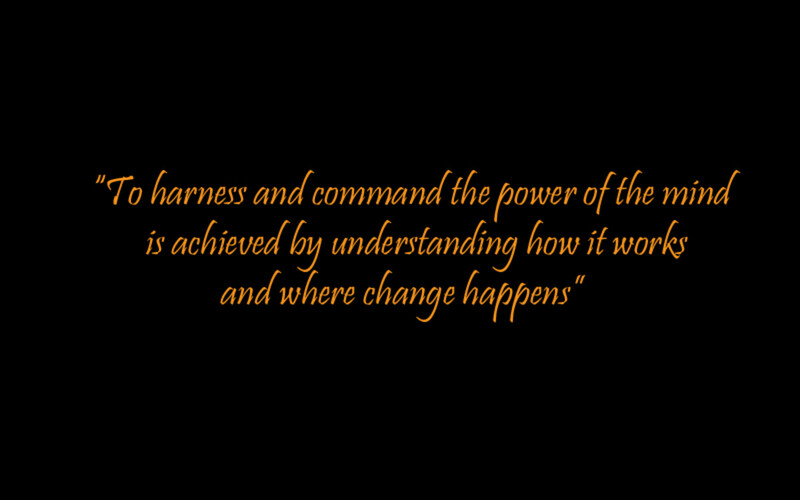 Both silently influence and govern the direction of your life. First of all, you cannot fix what you do not know. Therefore discovery and identification is the initial step. Take out a piece of paper and write all your core beliefs you have about yourself on the left side of the sheet. Be sure to write all the core beliefs you have discovered onto your list, large or small, good or bad, negative or positive. An example of a few core beliefs out millions possible: "I am not good enough," I don't deserve to have a good life," or "I am unworthy of being loved by anyone." Core beliefs stop you from loving yourself and make you vulnerable to overt self-judgment, negative self-talk, or self-destructive behavior. On that note, go over your list and determine if each core belief you wrote down is your truth or not. Mark only the core beliefs which are not your truth, are false or harmful, and the ones that are a barrier to getting what you want. From that point on, the core beliefs you marked are the ones you focus on for removal. Next, you need to shift the marked core beliefs from harmful to positive and motivating. So write a new positive core belief to the right or underneath each core belief you marked as a toxic, unwanted or negative core belief. List your new positive core beliefs on a separate piece of paper. To embed your new core beliefs you have to practice and practice them daily by repeating the new list first thing in the morning, eight times during the day when possible, and lastly, repeat them before you go to sleep. Repeat the list every day for 60 days. In 60 days, the new core beliefs will re-script the old ones and embed themselves in your subconscious mind. You do not have to believe in them, just repeat them as assigned. Change is possible through re-scripting. It starts with you taking productive action with practice. I have learned that no matter what you do in your life you can never get what you want until you shift your embedded negative core beliefs first. It was not until I identified all my old negative, unwanted or self-limiting core beliefs that I had formed in my lifetime did I find what was holding me back from what I wanted. At that point, I actively began to work toward developing and changing my old core beliefs to new positive core beliefs. Soon I discovered that I was reflecting my new core beliefs in my life. My mind, heart, and body began to manifest positiveness and my life radically changed. Shifting old core beliefs is one thing that I found I honestly have power over. Through actively changing my old negative embedded core beliefs into positive, I regained my authority back, my life was different, and I sincerely began to succeed in all areas of my life. Embedded negative or self-judging core beliefs keep you from knowing your authentic self, what you are capable of, being successful or having a fulfilling and enjoyable life. Set a new course for your life. You have the power to change your core beliefs. Do not be ruled or governed by your negative core beliefs ever again. Below is a new and positive way of believing and the path to growth. "Discover the roots of yourself, identify your core beliefs, re-script them and change your life." A lot about core beliefs and their influence on thoughts and actions. Interesting article. Lori Licker's comment was very inspirational, insightful and wise and a nice complement to this wonderful hub. Lori - I really appreciate your kind and truthful comments. Your words are so profound. 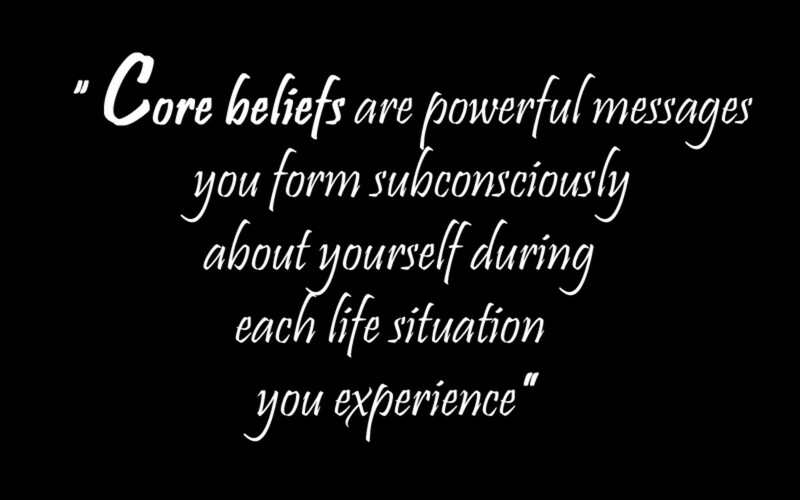 Not many people understand the power that rooted core beliefs have on our present life, thoughts, emotions, behavior and personal value. For you core beliefs effect why people attach to addictive thoughts, behaviors and substances. You have become so wise in your journey. Keep moving forward. There are two really important points that I come away with from your article. They are consistent with what you have taught me one-on-one. I'm sure that's true in your coaching practice too. One: Healing, especially from traumatic events,is possible. 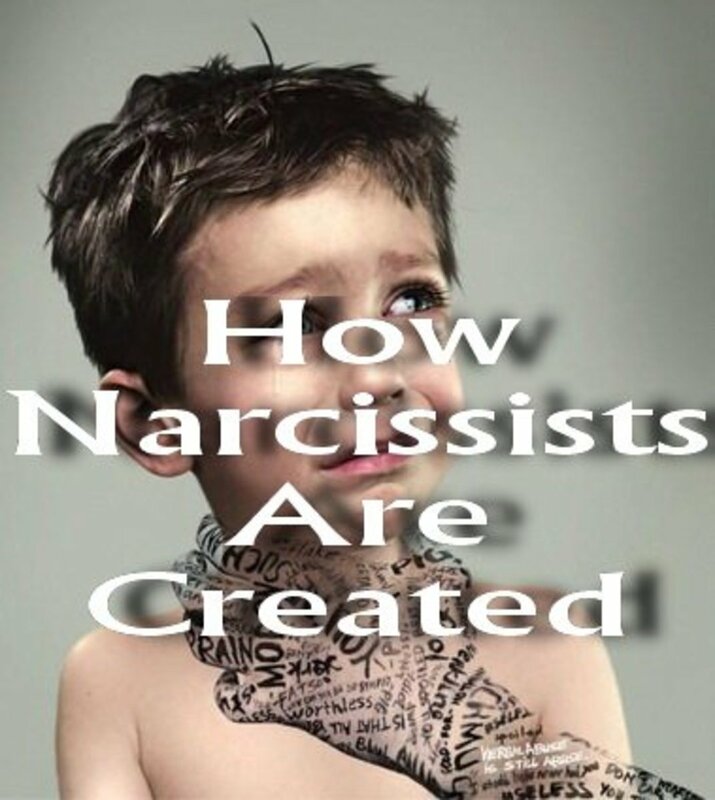 They can form "negative core beliefs [that]make us feel lonely, stupid, not good enough, and undeserving. 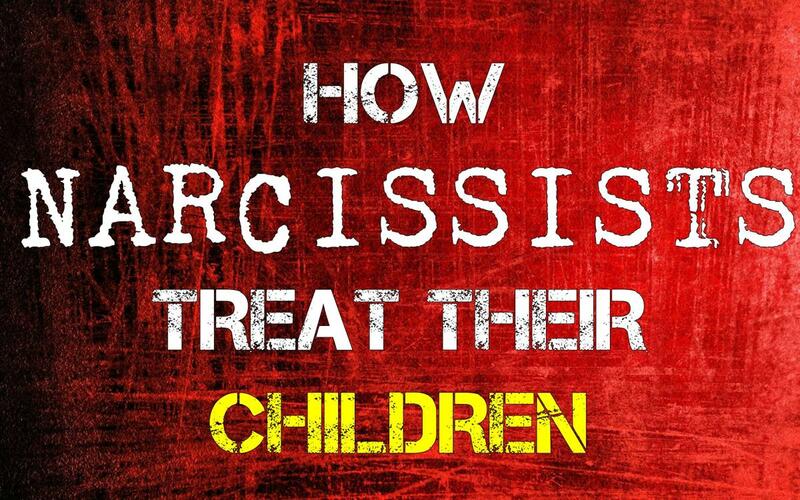 These core beliefs can then make us react with anger, depression, rage, hostility, resentment." Two: Forming our OWN new positive core beliefs allows us to own our success. We haven't indoctrinated ourselves with someone elses thoughts, even if they're positive. Developing new core beliefs ourselves also increases self-esteem more and a sense of power. It is all the more healing for someone who experienced trauma and have been carrying others' negative and sometimes debilitaing messages. Heather - Your comment is so correct. Core beliefs which become rooted over time, affect our present life more than anyone knows. What is good is there is a way to shift them and cut off their negative hold on how we think and behave. Thanks for your comment. Very interesting and right on the mark I believe. Until one understands their core beliefs and how it effects their everyday life they can not move forward. If they are rooted in negative thinking, they have to change it in order to have the fullfilling life that everyone deserves. I particularly like this statement,"... no matter what you do in your life you can never reach your maximum potential until you heal your rooted beliefs first." I believe that belief unlocks potential. Thanks for enlightening us on the power of beliefs, Dr Bill. Latasha Woods- Welcome - It is real nice of you to comment on this HUB. I think it was important to share to help others. 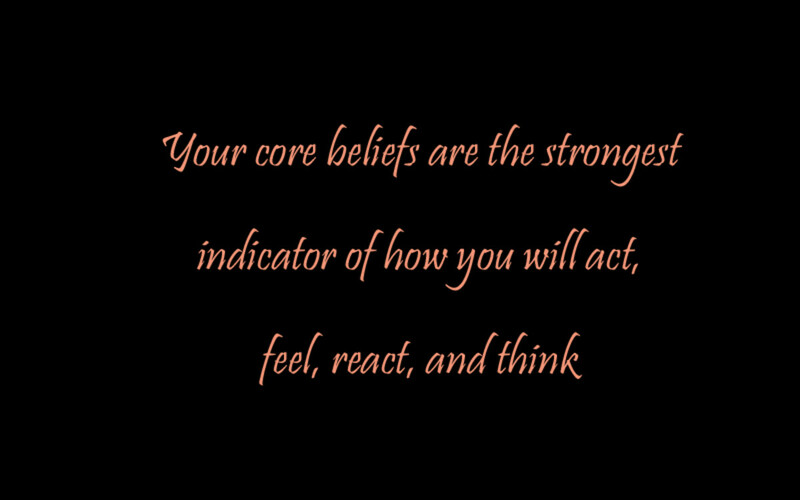 I feel that learning what your core beliefs are and how they affect how one thinks, acts and feels today. Identifying and learning about your core beliefs can make the difference between succeeding and being blocked. The nice thing is there is a way you identify a negative rooted core beliefs that are blocking you from succeeding. These negative core beliefs can be shifted to a positive core beliefs and it will help you reach what you want. 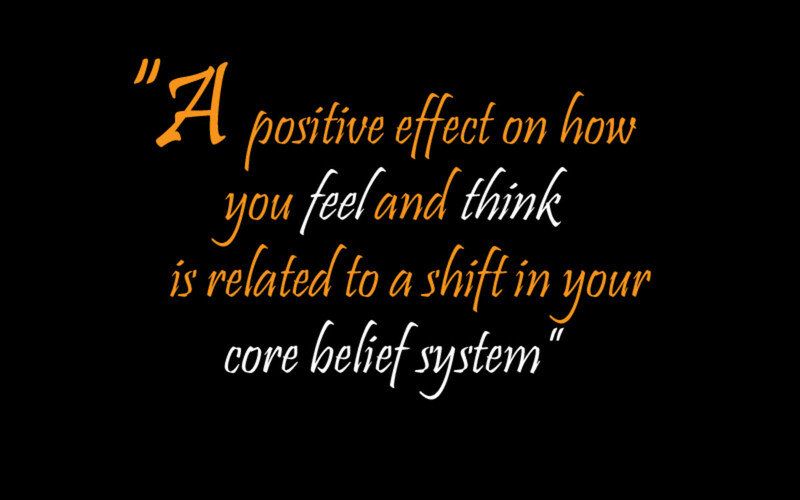 I have helped many to shift rooted core beliefs and succeed in their lives. Rooted core beliefs affect us more than we are aware of. Another great article and wise life tools for all. The greatest positive changes always begin internally. Thank you for sharing!! 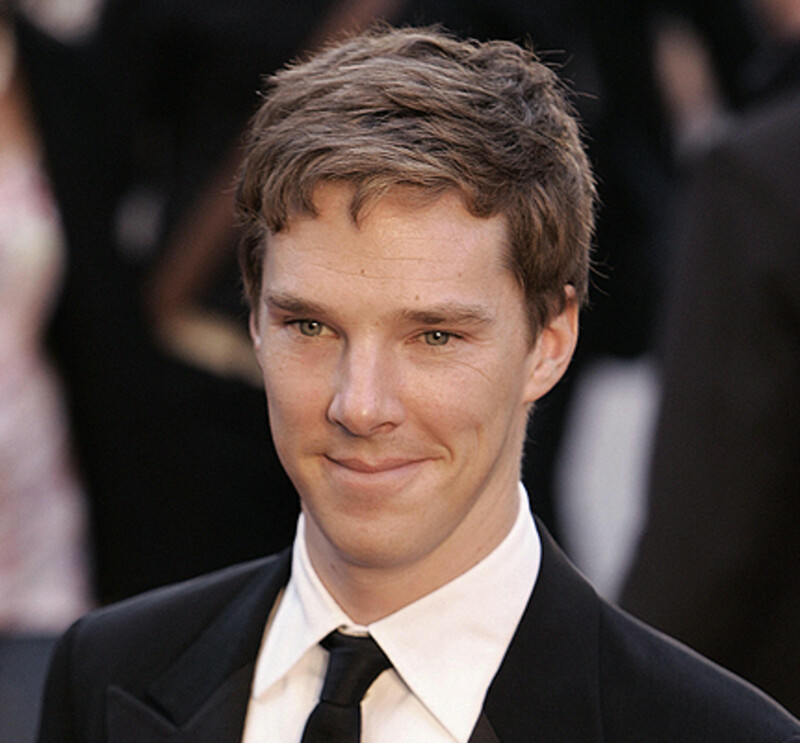 Bless you for the work you do. It must be very gratifying to know your work makes such a difference in people's lives. Thanks for helping those of us on Hub Pages benefit from your knowledge and experience. Happyboomernurse - Thank you so much making such a great comment. I help people everyday to identify their rooted core belief that stand in there way of success and then witness their movement into health. Great hub with a very important message about how our core, rooted beliefs can have unrecognized effects on our lives and be blocking our attempts to attain good mental and physical health. I agree that becoming conscious of our core beliefs is the first step in changing the ones that are holding us back. I like the hopefulness with which you broached this topic and the suggestion that once an unwanted belief is identified it can then be replaced with a positive belief that helps heal our mind, body and spirit. Wysley - I really appreciate your comment. Core beliefs are the key element of one's personal philosophy but hardly anyone knows. Thanks for reading. 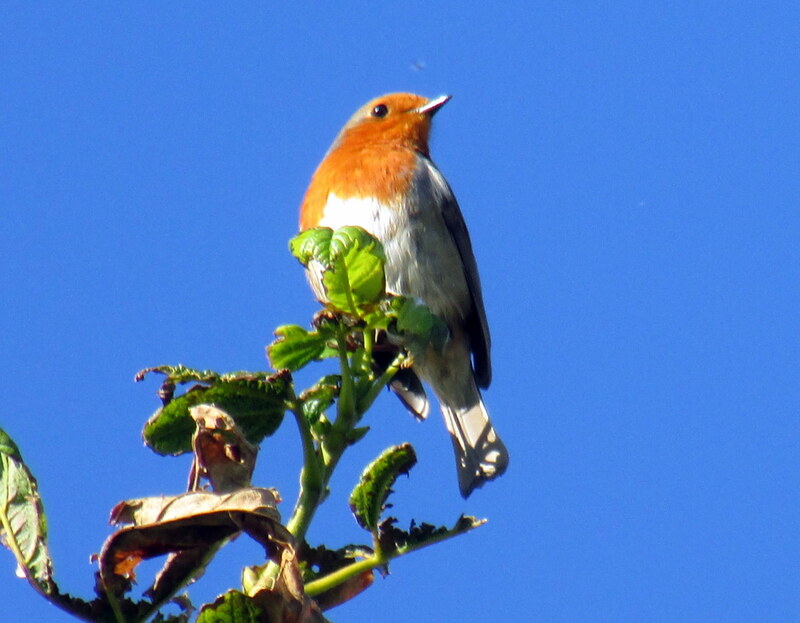 Thank you for your insightful article on core beliefs and that there is hope. You have definately helped me to discover what core beliefs may be negatively impacting my life that I wasn't even aware of, and change them so as to more forward and reach my potential. Thank you! fabulous article. Gives me some direction and encouragement. Something tangible to work on. Thank You!